Notes: First thing this morning I had to take my car to the garage to be serviced and have its MOT (turns out it’s going to be expensive, ouch!). I walked home via some local playing fields and found this eye watching me from a piece of playground equipment. The frost overnight was quite incredible, I don’t think I have ever seen it so impressive. 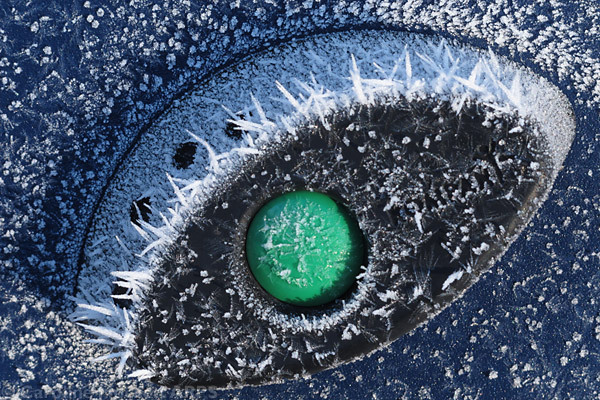 I loved the way the fingers of frost had made eyelashes for this watchful occular imposter.